I’ve been the person who never seemed to get full. I would eat a full meal and 15 minutes later could also have a bag of chips. I was constantly snacking. I later learned, that I happen to have high levels of estrogen and I’m also someone whose blood sugar spikes and drops very rapidly. My constant snacking was actually contributing to my being hungry all the time. Dr. Rothman explained that every time you eat, your blood sugar increases. This action triggers your pancreas to release insulin into your body to lower your blood sugar. The more insulin in your body, the faster your blood sugar drops, the sooner you will be hungry again. Therefore, because my blood sugar is dropping, I eat a snack, which in turn produces more insulin, and again I feel hungry. Moreover, over time, my insulin levels will become higher and higher, which could lead to diabetes (something that runs in my family history). Intermittent fasting was great because it was a designed pattern of eating, choreographed to work with my schedule, and it forced me to get the most out of my eating. I only eat twice a day, 1pm lunch, 7pm dinner, and then fast 17 hours. But don’t worry, I don’t ever feel deprived during my meals. I have a balanced diet full of organic vegetables, cheese (one of my vices), and organic meat. I try to stay away from carbs because I know how menacing it can be to my insulin levels, but even still I’ll incorporate it once in a while if I have enough fats in my meal. So while all my girlfriends are eating low-fat salads with low-fat dressing, I’m enjoying a hamburger with cheese, and broccoli on the side. And honestly, I’m more fulfilled and in a much healthier state. The combination of eating a low carbohydrate diet with intermittent fasting is a powerful way to improve your health and take control of your weight. Eating a low carbohydrate/ high-fat diet will “train” your body to burn fat since fat becomes the major source of energy in your body. 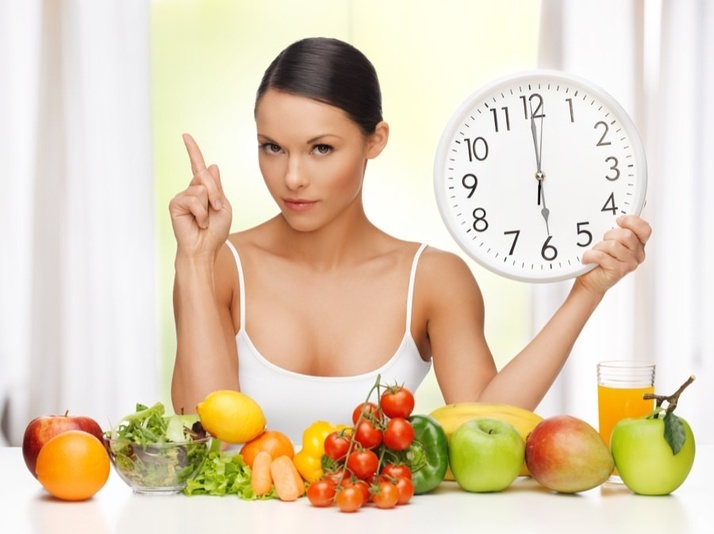 Then when you spend 12 plus hours each day fasting, your body will easily and quickly go into “fat burning mode” helping you lose unwanted pounds. Additionally, this combination has many health-boosting benefits, reducing your risk of cardiovascular disease, high blood pressure, premature aging, and cancer. If you are going to consume carbohydrates, eat them earlier in the day so that you will burn the carbohydrates with your daily activities (and exercise).